Close up image 'lnwrdun1337' showing Dunchurch station's up platform's timber built and clad waiting room which had a shorter canopy than that seen on the down platform. The station was lit by oil and there is a lamppost seen to the left of the waiting whilst on the left panel a lamp cabinet can be seen. The wooden steps to the right of the waiting room were required because platforms were originally built at a lower height than later required for 20th century coaching stock. Early coaching stock derived from horse drawn coaches and therefore had steps from the compartment down to a platform built to a height of just above rail level. 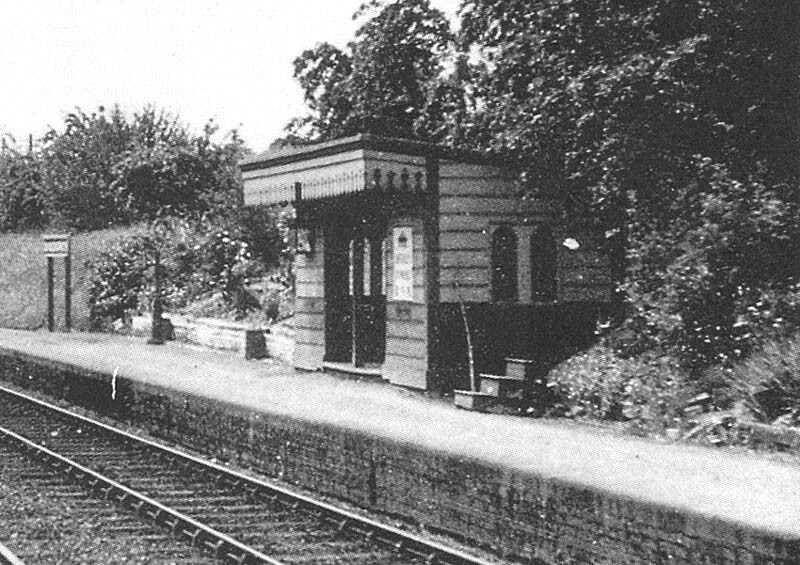 Later platforms were built higher than those first built in the first flush of railway building in 1830-40 but it wasn't until the 1890s that platforms began to built at the height that is common place today. These steps were made available to assist ladies, children, the infirm or the aged to climb into the carriage.